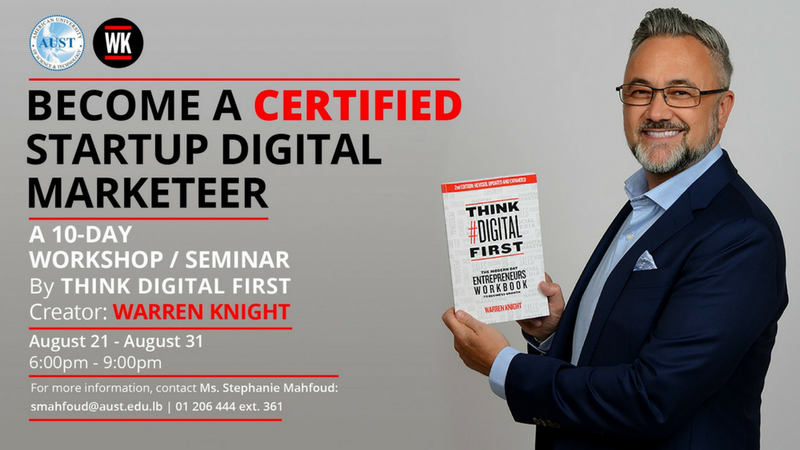 Become A Certified Startup Digital Marketer! I will be running a 10-day workshop/seminar in partnership with AUST in Beirut between August 21st – 31st. If you are interested in taking part, or want more information, please contact Stephanie Mahfoud on smahfoud@aust.edu.lb.